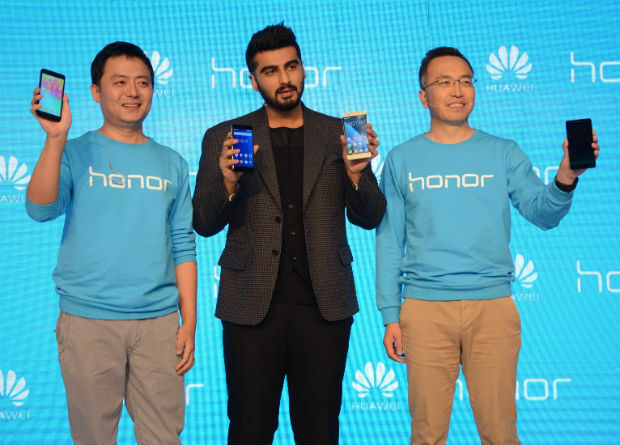 Huawei’s sub-brand, Honor has announced two Honor devices catering to the Indian market. The Honor 6 Plus goes for consumers who seek a mid-range phone or Honor 4X for consumers tight on budget. The Honor 6 Plus features Huawei’s own Kirin 925 1.8 GHz octa-core processor, 3GB RAM and a 5.5-inch display supporting full HD resolution (1920×1080). The phone also features dual 8 megapixel rear camera with an aperture range of f/0.95 to f/16 that promises “DSLR quality images” and even boasts 32GB internal storage, a microSD card slot for storage expansion and a 3600mAh battery. Honor 6 Plus will sell from April at a price of Rs. 26,499. Honor 4X on the other hand, targets the lower end of the spectrum with its Rs. 10,499 price tag and Snapdragon 410 1.2GHZ quad-core processor, 13 megapixel main camera, 5 megapixel front-facing camera, 5.5-inch 720p HD screen, 4G support, FM Radio, Android 4.4 with Emotion UI and 3600mAh battery. The Honor 4X will go on sale from March 30 on Flipkart.